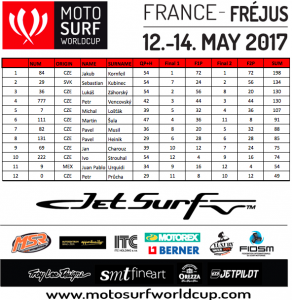 MotoSurf WorldCup Fréjus in France started the 2017 season of jetsurf racing. 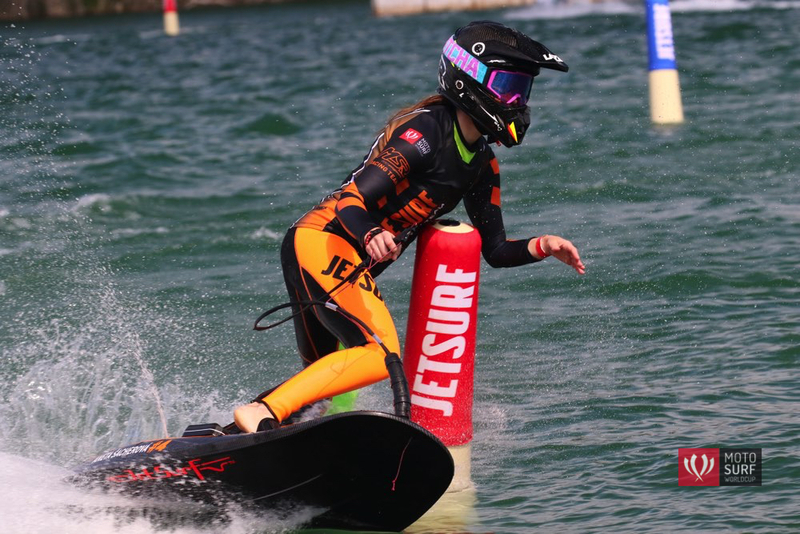 South Wake Lake welcomed the world’s fastest motorized surfers for the first time and we could see amazing racing weekend. 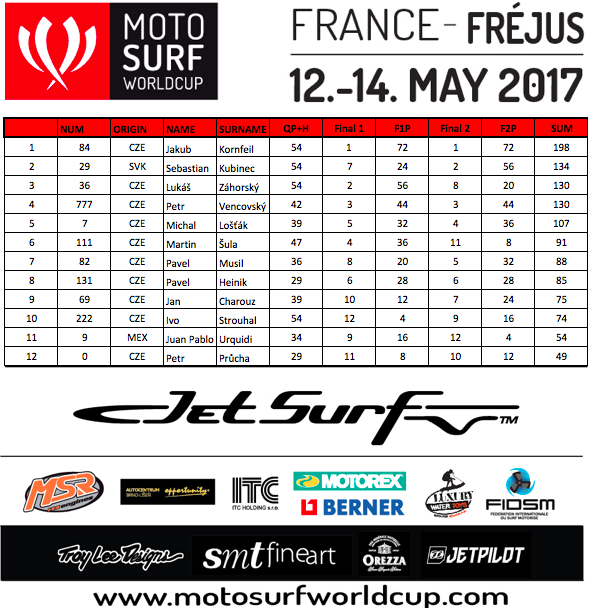 Jetsurf Factory Team’s rider Jakub Kornfeil remains undefeated after the French round. 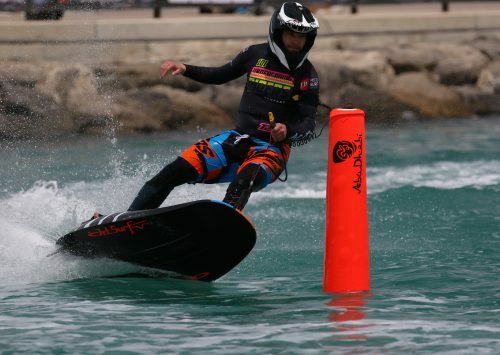 He won the qualifying, topped all four heats and completed his amazing weekend with two victories in the finals. #29 Sebastian “Sebi“ Kubinec had a GP finishing 2nd. Teenage Slovakian showed an amazing performance and his wonderful riding style brought him excellent podium finish. Third and last spot on the box was taken by reigning champion Lukáš Záhorský. MSR Engines Racing Team rider had a technical issue on Saturday but managed to built his weekend up and scored important 3rd for the Championship. 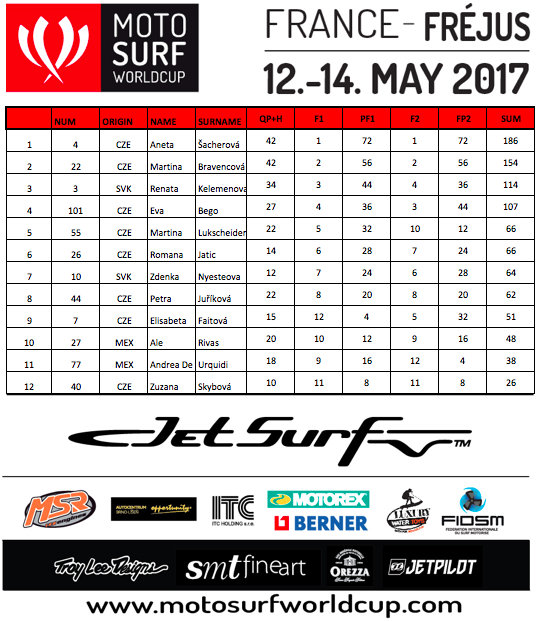 Petr Vencovský from Jetsurf USA Team surprised the field finishing tied on points with Záhorský. Top rookie of the race was Petr Průcha who managed to reach Final A appearance during his premiere round. 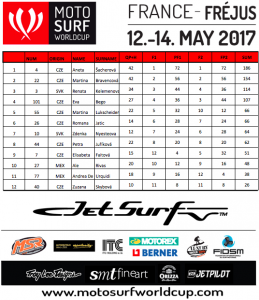 Former New York Rangers NHL player accompanied his team mate Petr Vencovský in Final A to score a strong day for Jetsurf USA Team. MSR Engines Racing Team’s Aneta Šacherová was determined to make two strong races after 2nd position in the qualifing. 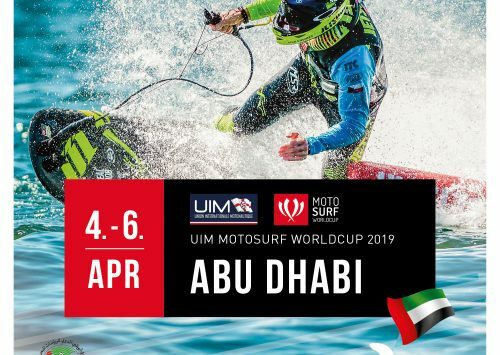 She had a lot to do with SYMBIO+ Jetsurf rider Martina Bravencová who won the qualifyings and was showing a super fast pace during the whole weekned. Eventually, Aneta used her experience of group fights and topped both of the final rounds. Martina Bravencová scored two 2nd places. Renata Kelemenová made a successful day for Slovakia complete in 3rd.